There's a company in Switzerland called Algordanza that will turn your ashes into a diamond for your family. There’s a company in Switzerland called Algordanza that will turn your ashes into a diamond for your family. Everyone loves diamonds, but one company has gone as far as making diamonds from dead people’s ashes! They enabled people to ‘wear’ their loved ones wherever they go, after their death of course. This rather unsettling idea has originated from a Swiss company called Algordanza. Since carbon is the essential ingredient for a diamond, it is extracted from the ashes of the dead. The extracted carbon is then turned into graphite and heated at the temperature of 2700ᴼ Fahrenheit under the pressure of 870,000 pounds/square inch. The final outcome of this process is a beautiful diamond which may be white or blue, as per the levels of boron in the ashes. You can get it engraved and wear it, keeping your loved one to always be with you. Or, keep the diamond as a souvenir of your dear one. 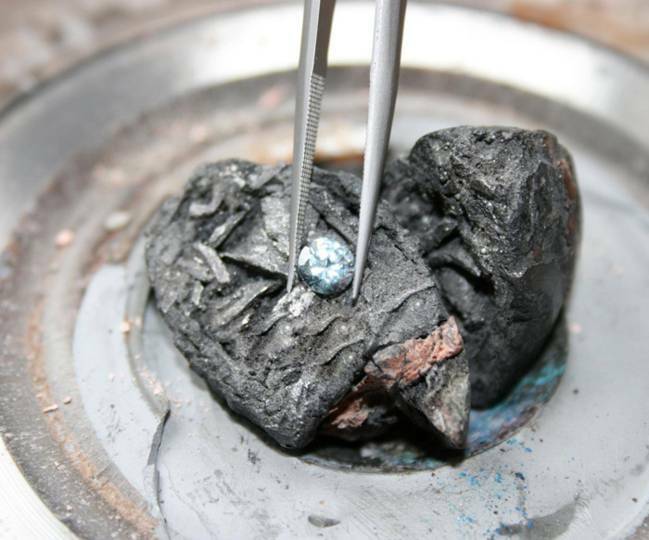 So the cremation diamonds are real and genuine and they extract these carbon atoms from the ashes and make them go through all the manufacturing process to make these diamonds. The diamond made will be ever-lasting and will stay for another couple of generations. But the process doesn’t come cheap, and costs $4,500 USD or more.